Who finds meaning in her church and is drawn to its fellowship. Whose life is packed full of activity and obligations. Who struggles with loneliness or a sense of failure. Who wants to combine classroom study with significant fellowship and outreach opportunities. Who seems overburdened with the traditional woman’s role of caregiver. Who feels she has gifts which are wasted or undeveloped. Who wants to be accepted for who she is. Who needs a supportive community to affirm her own sense of purpose and commitment to God. We invite you to membership in United Methodist Women. 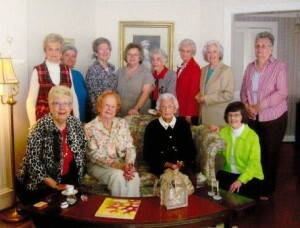 We have three United Methodist Women’s groups at Manchester First United Methodist Church. Contact: Lisa Tuttle or the church office at 706-846-3213 for more information.